In order to retain access to horses and enjoy the benefits they bring to our communities, it is vital that horsemen understand the basics of planning and zoning and how this impacts horse keeping, breeding, competing and recreating, as well as equine related businesses in their communities. Furthermore, horsemen and women need to be able to articulate the benefits horses bring to their communities as well as supporting community planners with information needed about incorporating horses into their local plans. 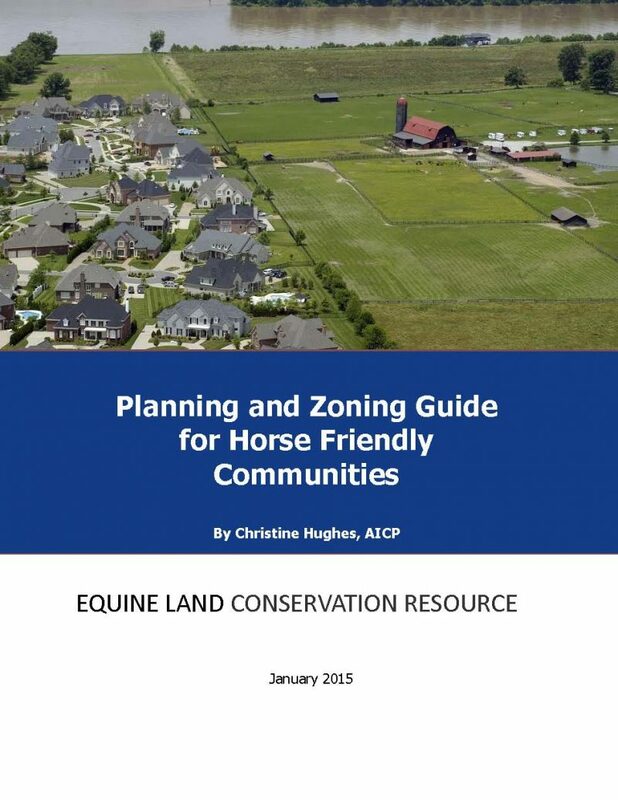 With the help of the American Association of Equine Practitioners Foundation, the Dudley T. Dougherty Foundation and the Mars Foundation; along with individual donors who supported the No Land NO Horse crowdfunding campaign, ELCR has produced Planning and Zoning Guide for Horse Friendly Communities. 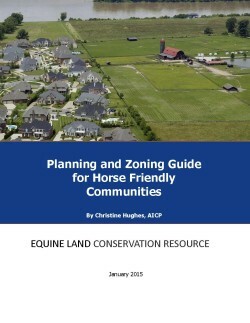 This guide provides beginning and advanced information, tools and other resources to horsepeople, community leaders and planners to help them understand how to successfully include horses and horse-related activities in their community planning efforts.